McGill Education professor Nancy Heath never imagined she would be working with YouTube. But after a study she and a research partner published had attracted a lot of media attention, the online video-sharing giant came calling in search of help and advice. 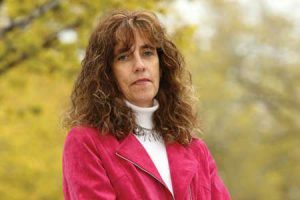 About a year ago, Heath and her colleague, Stephen Lewis of the University of Guelph’s psychology department, published a study about self-injury videos found online. Its findings suggested that, for some, social media might make self-injury seem like a viable way to cope with distress while at the same time providing a sense of belonging and community among those who watch and post these videos. That’s when YouTube got in touch. The researchers had discovered that in December 2009 there were over 5,000 self-injury videos online, with 100 of the most popular ones being viewed from around the world more than 2 million times. When YouTube learned the extent of the problem, it approached Heath and Lewis to ask them to suggest sites where viewers could go looking for help. But after spending some time searching the net, they were unable to find a website that offered supportive, recovery-oriented information and healthy links both for those engaged in self-injury, and for their teachers, family and friends, as well as for the mental health and medical professionals who work with them. So they decided to develop a site themselves. The Self-injury Outreach and Support (SiOS) website was launched about three weeks ago and has already had about 2,000 hits. But more important than the numbers are the interest and approval that the site is garnering from professionals both within Canada and beyond, including such influential organizations as the U.S.-based National Association of School Psychologists, and the support of a professor who works closely with the World Health Organization (WHO) on non-suicidal self-injury. The site includes recovery-oriented videos; downloadable audio and information about the mindfulness training that can help people control the urge to self-mutilate. Since the site went live, Heath, Lewis and their teams have been monitoring it and have found that many of those who visit go directly to the section that offers strategies for coping. As well as the response from professionals working in the field, they’ve also had positive feedback from people struggling with their urge to self-injure. And because the site is being monitored so closely, clearly distressed individuals can be responded to, reassured that their urges are not uncommon, and referred to mental health professionals and available crisis help lines. “We can reach so many people if we find the right way to do it, not only here in North America but all around the world where the same behaviour is occurring. Indeed, we are currently doing research on non-suicidal self-injury in India, South Africa, Iran, Amman and Brazil,” says Heath, who adds that although there are lots of worrisome things to be found in cyberspace, it’s also sometimes the best way to reach out to youth and young adults.